In 2017 M/S BIBIANA’s expedition went from southwest Sealand to Aarhus in Central Jutland. The expedition started on July 23rd in Skælskør and visited 13 other port calls during august, september and october. The expedition ended on october 29th after a two week long stay in Aarhus. 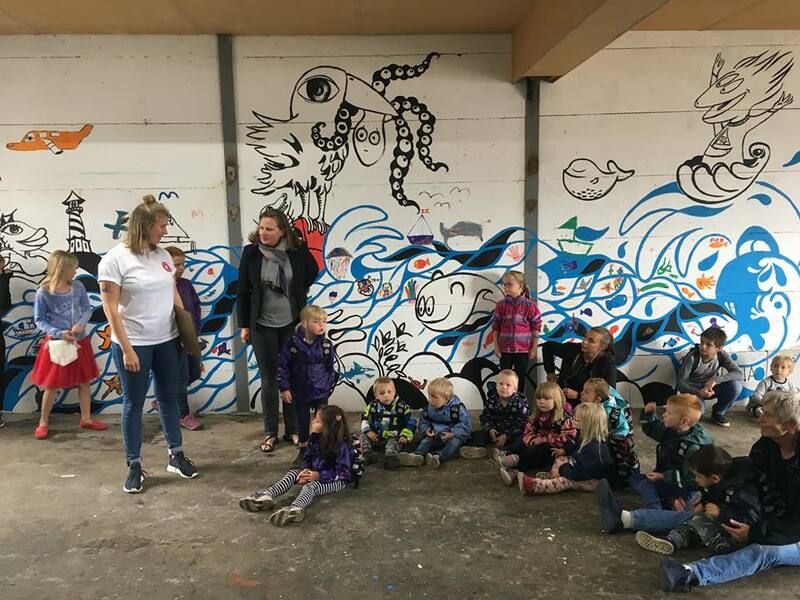 During the summer vacation expedition we succesfully tested a new concept: A community art course where the children from the cities participated in decorating the harbor. 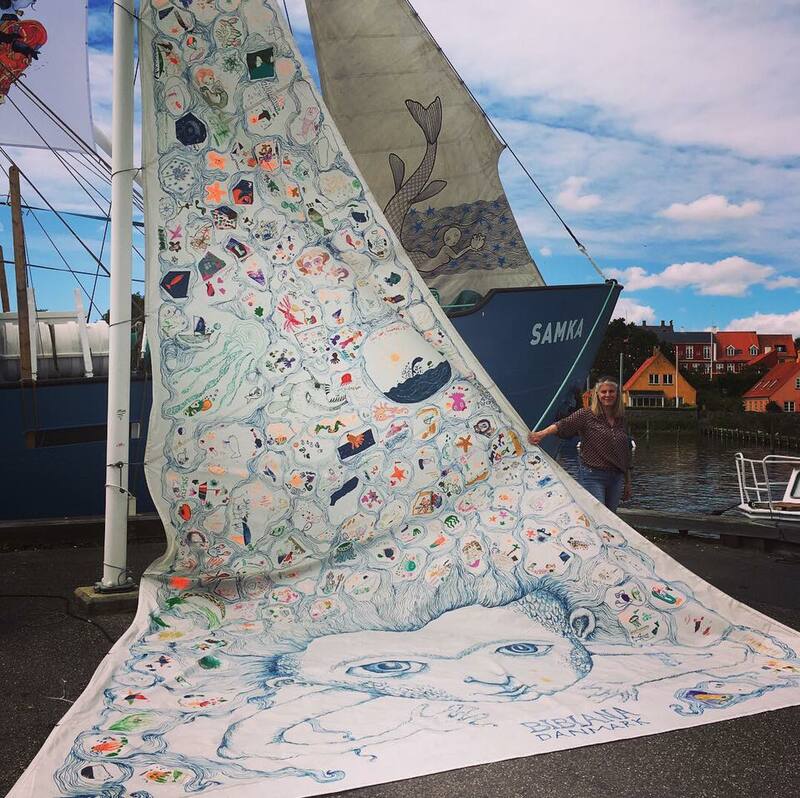 The result was a number of site-specific works, created in a collaboration between local children and wellknown illustrators, in order to make a permanent print on the harbors. 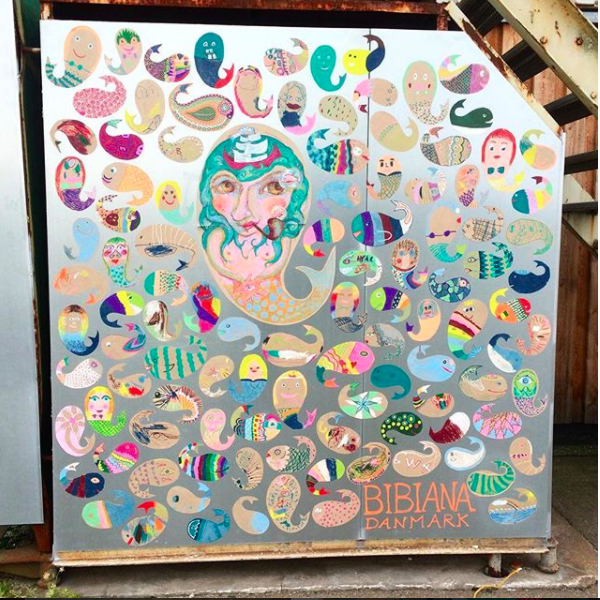 These works are only a small taste of the visions for BIBIANA Denmark. With a starting point in the imagination of children, we want to work even more to create site-specific art in Danish Cities. At this years school expedition we, once again, decided to bring the project “The adventurous harbor” in order to introduce them to architecture. At the expedition in 2016 we experienced a great succes, and a great demand for the project. That’s why we decided to repeat the project to spread it to even more school classes. The pupils were taught architecture and worked on their own projects, where they developed inspiring models of how they thought their city’s habor should look in the future. 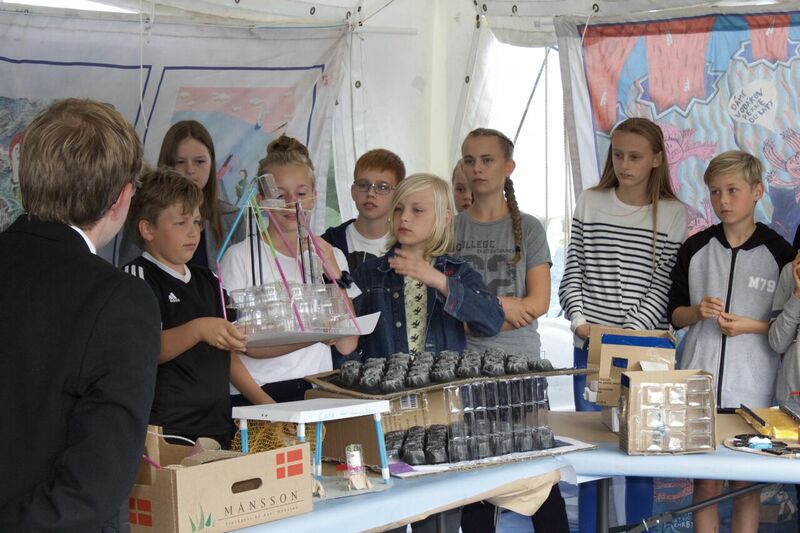 To make sure that the works inspired and delighted as many people as possible, the models were exhibited at the ship, and in two special exhibitions about the voice of the children in harbor development, at respectively DOKK1 in Aarhus and Kulturværftet in Helsingør. In 2016 M/S BIBIANA focused on including children in architectural development of the harbor. 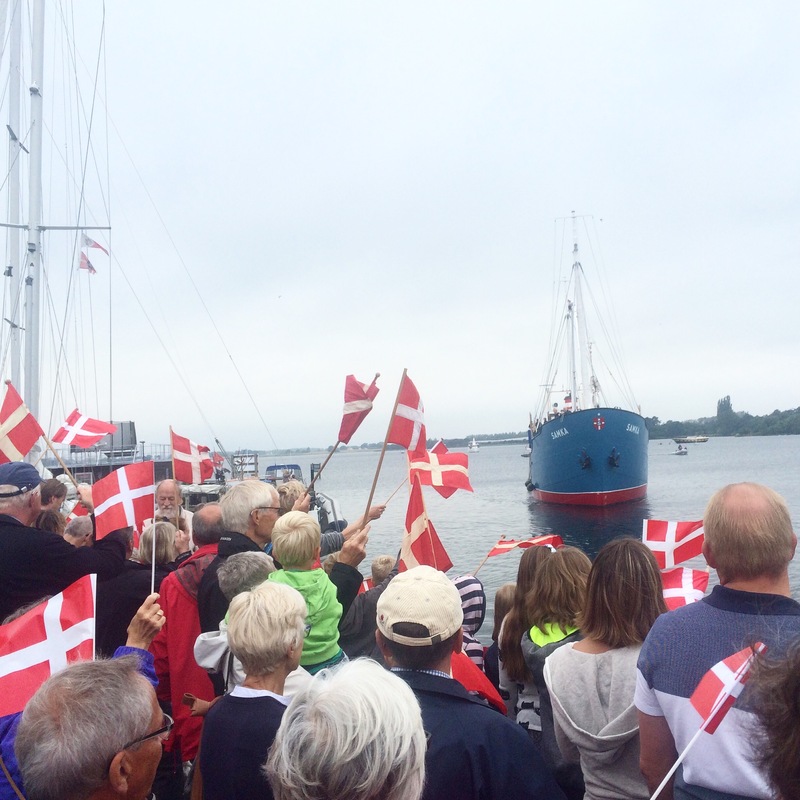 The ship visited 10 different harbors during august and september, from Northern Jutland to ‘Nordatlantens Brygge’ in Copenhagen. Aboard the ship were professional artists and educators of architecture, who taught art and architecture to school classes. During the educational programs, the children worked as architects and used their creativity and imagination to come up with new ways to make their local harbor look more lively and adventurous. The children visualized their ideas by making physical models, and drawing them in a virtual reality drawing program. Furthermore there was an exhibition, two virtual reality studios and a workshop onboard, free to use for everyone who was interested. Watch a video from the expedition and read more about M/S BIBIANA. In the following, you can read about the highlights from the expedition. You can also find more information at our press site. Exhibitions at the Utzon Center and in House of Music. 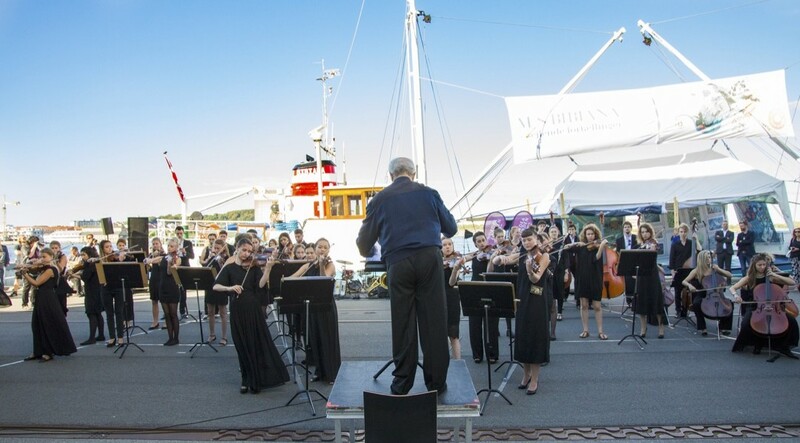 Besides having both an exhibition and other activities on board of M/S BIBIANA, we decided to create exhibitions in collaboration with with local cultural institutions at their premises. We did this because it was, and still is, important to us, that as many children as possible get the possibility to work with illustration art and virtual reality. At the Utzon Center we offered a shortened version of the educational program. School classes could work as architects, build models and draw in the virtual reality drawing program. Furthermore we established an exhibition consisting of the best architectural models from North Jutland harbors. In House of Music we exhibited 76 original works from the exhibition “Sea Fairy Tales” and 28 graphic prints from the exhibition ”Sailing Tales from Slovakia”. Everyone was welcome to see the exhibition and school classes could use it as an inspiration before they attended the educational program at the Utzon Center. 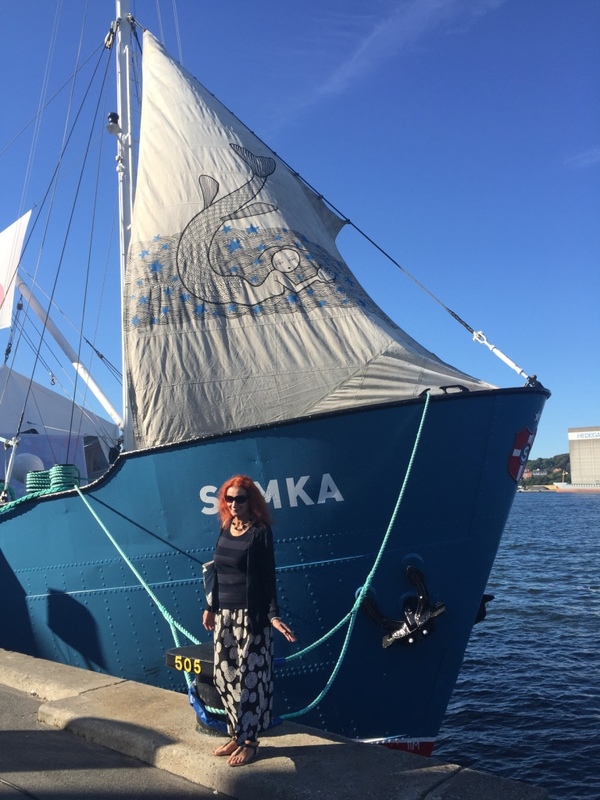 M/S BIBIANA participated in the Cultural Summit at Mors from 25th to 27th august. Our purpose with participating in the Cultural Summit was to put children on the agenda, and show how much adults can learn from the creativity of children. We held two discussion meetings with children as the experts, and they presented some of their ideas to architects and other professionals. 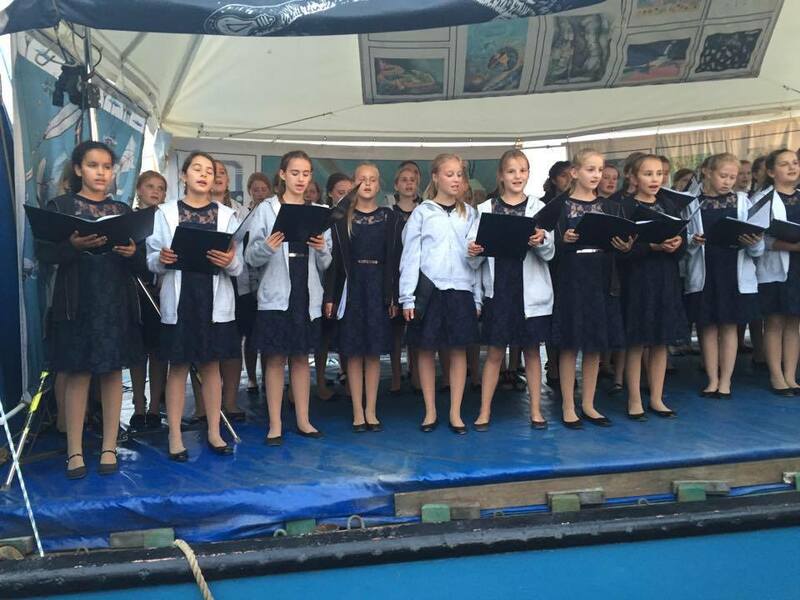 As an extra delight, we had arranged for the DR junior choir to sing. ”At the cultural summit we turn 180 degrees; It’s the adults who learn from the children. Vi want the adults to experience the children’s ideas and to participate in the children’s activities so that they can be inspired to think of new possibilities. We want the voice of the children to be heard much more than it is today. That is why we have established a program that embraces children’s creative minds and shows that adults can learn a lot from children’s ways of creative thinking, when they set up harbors, residential areas and schools. At M/S BIBIANA it is the children who speak and the adults who listen and learn.” – Janne Bech, manager and curator, BIBIANA Danmark. The former culture minister Bertel Haarder and hans wife, Birgitte Haarder, visited M/S BIBIANA, during the Cultural Summit. 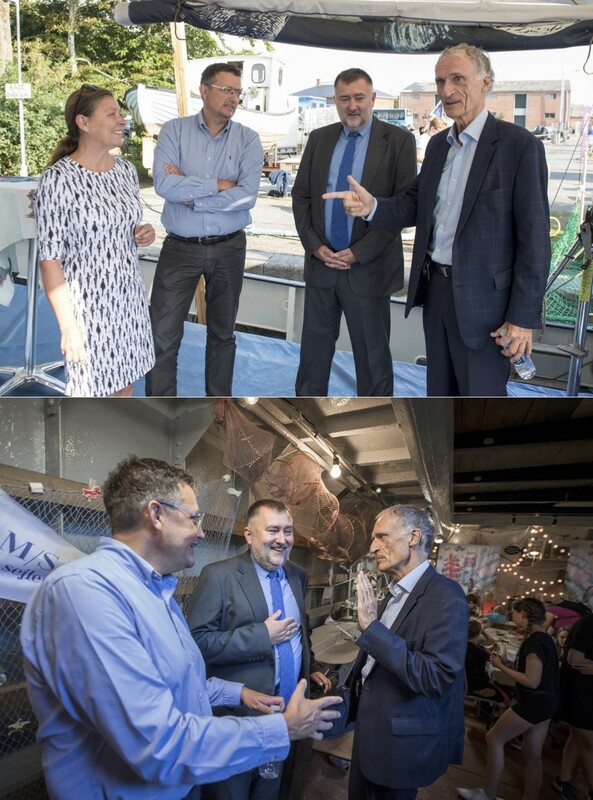 The guests were welcomed by Janne Bech (Manager of BIBIANA Denmark), Henrik Lehmann (Manager of the Nordea fund), Erik Kromann (Head of the maritime museum in Marstal) and Boris Gandel, (The Slovakian ambassador in Denmark). 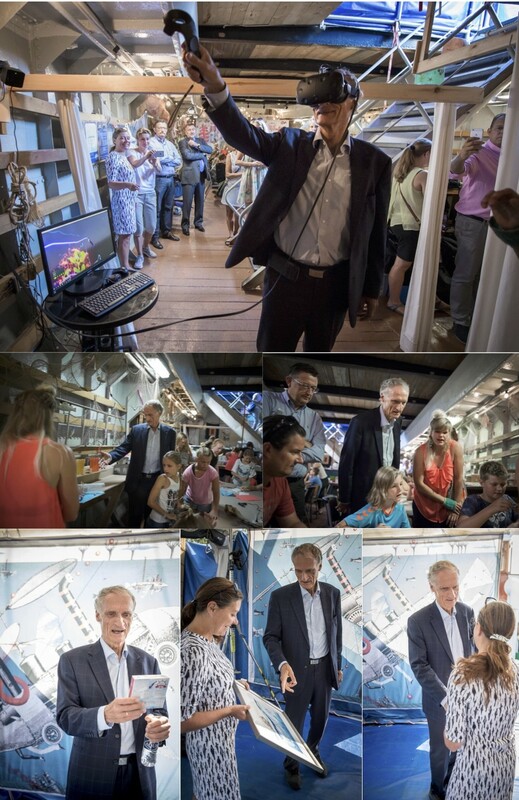 Bertel Haarder got a tour of the ship, spoke with the children about their harbor-themed architectural models and tried the virtual reality drawing program. During the visit the culture minister expressed a huge enthusiasm for the project and proclaimed that the only thing he wanted for his birthday was a glue gun and the virtual reality drawing program Tilt Brush. 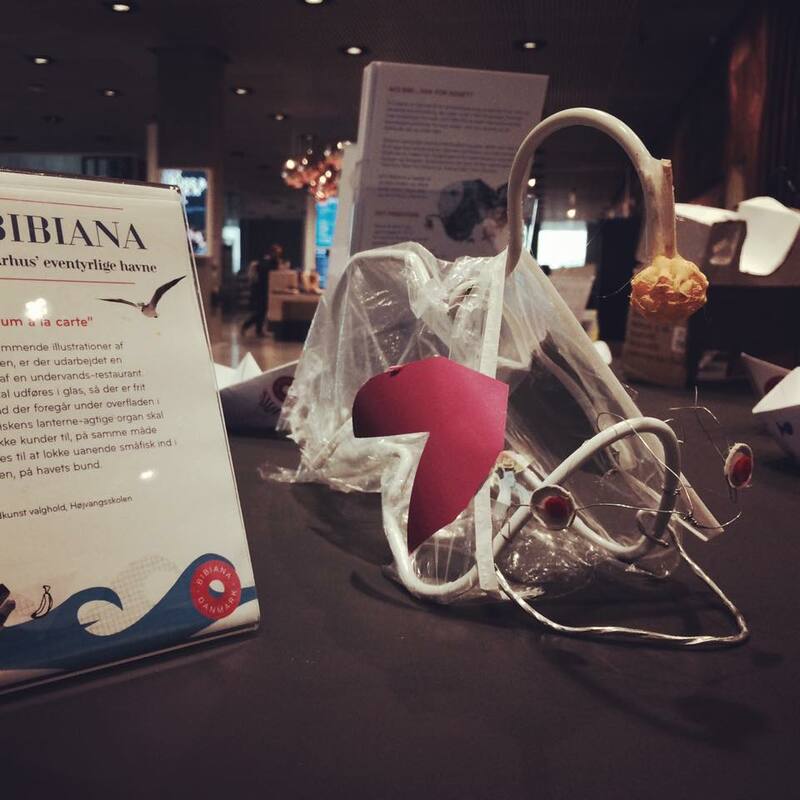 In 2015 M/S BIBIANA focused on tales from the seven seas. 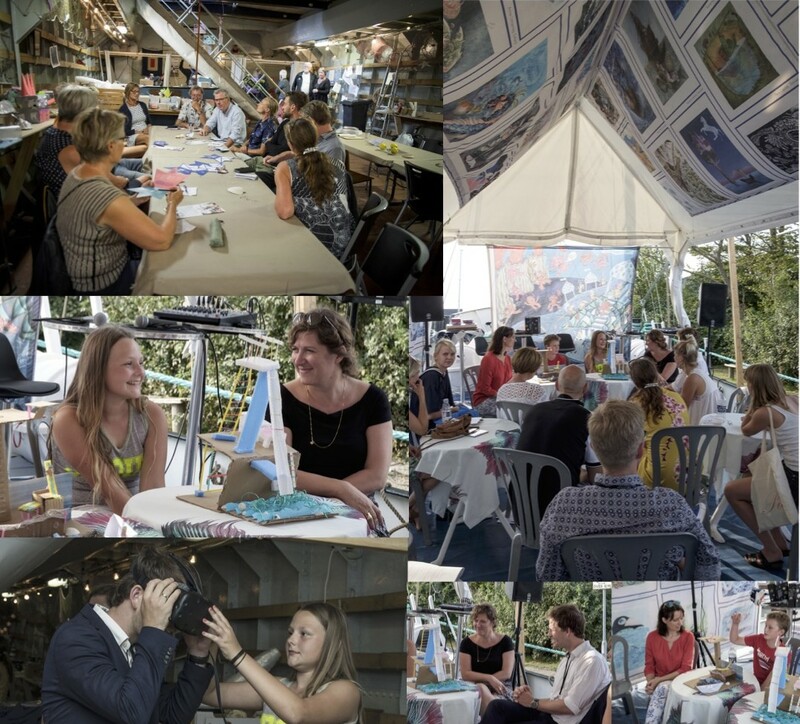 Children’s illustration art with legends and tales from the ocean were exhibited both below deck and on the ship’s sail, and formed the basis for education in storytelling, experience design, workshops, treasure hunts and other art activities.